Recyclable Treasures, the Pre-primary event, saw the students walk down the ramp in a variety of creative and innovative costumes made out of newspapers, plastic, paper cups, straws, spoons, bottle caps, bottles, gift wrappers and so on. 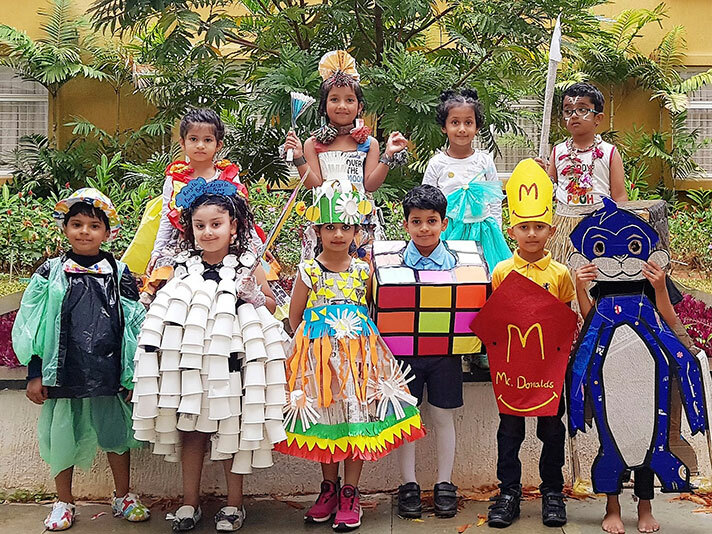 The students understood and emphasized on the theme “Reduce, Reuse and Recycle”, which was also evident in their costumes and props. The event concluded with the students giving a strong message “RECYCLE. THE POSSIBILITIES ARE ENDLESS”.